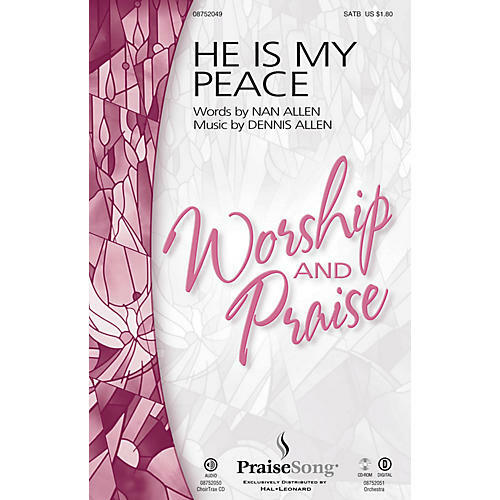 Dennis and Nan Allen have been offering well-crafted music for years, and here is a magnificent new worship song by this creative couple. Your choir will thrill at the uplifting text, and once your congregation hears it, they will want to sing along! Available separately: SATB, ChoirTrax CD. Score and parts (fl 1-2, ob, cl 1-2, tpt 1-3, hn, tbn 1-2, tbn 3/tba, perc 1-2, hp, rhythm, vn 1-2, va, vc, db) available as a CD-ROM and as a digital download. Duration: ca. 4:15.